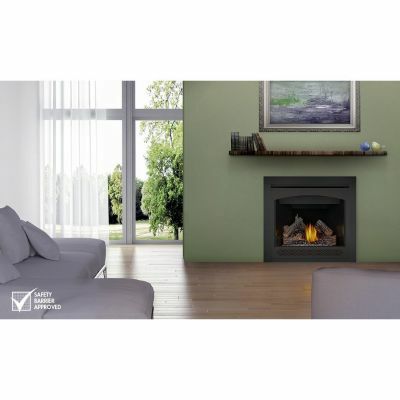 The Napoleon Ascent™ 36 Gas Fireplace adds ambiance to any room and is perfect for builders and homeowners alike. The shallow depth allows for versatile installations where space is at a premium and is also ideal for corner applications. The clean face design of the Ascent™ 36 maximizes the viewing area so the realistic flames and hand painted PHAZER® log set are enjoyed to their fullest. side vent 41" & top vent 50-1/2"